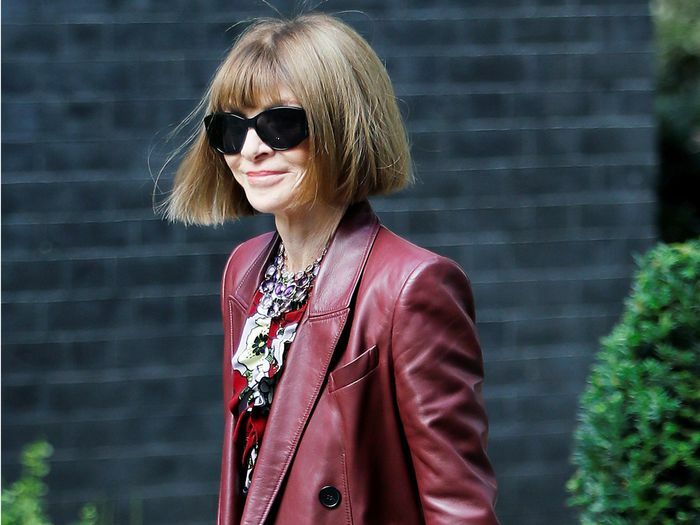 Anna Wintour is nothing if not a creature of habit. She's a die-hard loyalist to her oversize sunglasses, Chanel red carpet looks, and Manolo Blahnik strappy shoes, all of which she's been wearing on repeat for years. That said, she still likes to mix up her wardrobe with seasonal items, and every fall, she reliably reintroduces her favorite boot trend of all: knee-high leather boots with stacked heels. 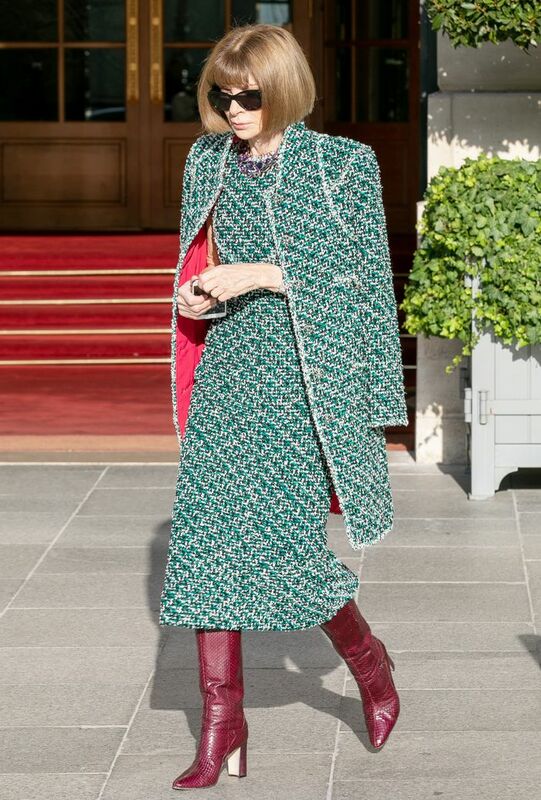 In fact, she owns five different versions of the trend, and I couldn't find a single photo of Wintour wearing any other boot style this season. She packed plenty of versions for fashion month, from the slouchy burgundy ones she wore to the Chanel show to the head-turning snakeskin versions she wore in London. Most recently, she wore classic tan boots to a tech event in San Francisco this week, proving that they're versatile enough to work outside the street style bubble. And in case you're wondering, there's only one Wintour-approved way to wear knee-high leather boots: with a printed midi-length skirt or dress, naturally. Other clothes need not apply. Scroll down to see five ways she's worn the boot trend and shop the look at a variety of price points.